Summary: After James Otis’s father dies, life gets hard for him and his mother. They are barely making it, but when Reverend Dennis announces that the church will be delivering Valentine’s love boxes to the needy, Mama says they have to contribute. In particular, a girl named Sarah and her mother need help after losing their home in a fire. As the days go by, James Otis takes stock of his meager possessions as he tries to imagine what Sarah might like. He thinks about giving her the one book he owns, but then has a better idea…he creates a special book just for Sarah called From My Heart to Your Heart. At the church on Valentine’s Day, he gives her the book in person, and she is thrilled. James Otis feels good that he has given something from his heart, and is rewarded with his own love box waiting on the doorstep when he and Mama return home. 40 pages; grades K-3. 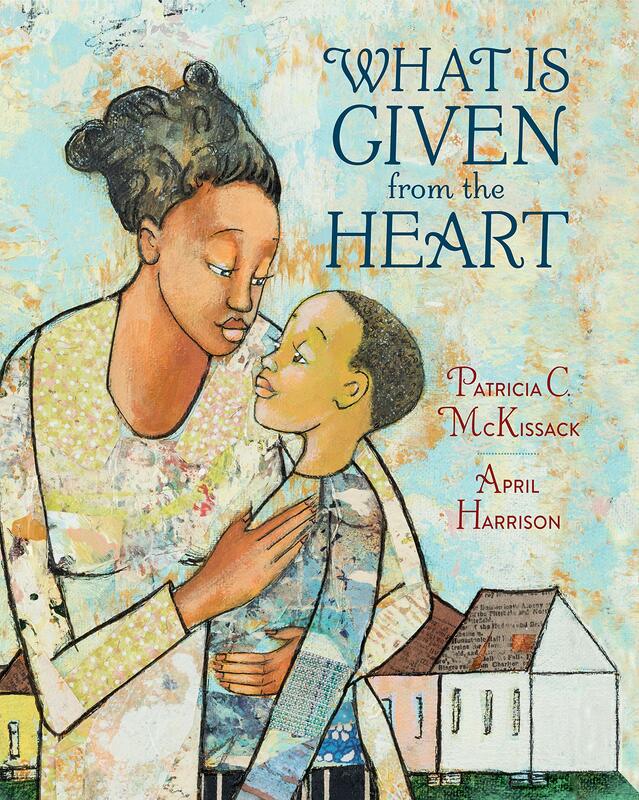 Pros: A final story by the late Patricia McKissack would make a touching read-aloud for Valentine’s Day, with maybe a follow-up activity about giving from the heart. The collage illustrations by newcomer April Harrison add interest to the story with plenty of colors and textures. Cons: I couldn’t tell from the pictures if this was a contemporary story or historical fiction.